Super buy. Each book normal price:$2.50. Now get all 4 at $3.50! Save $6.50. 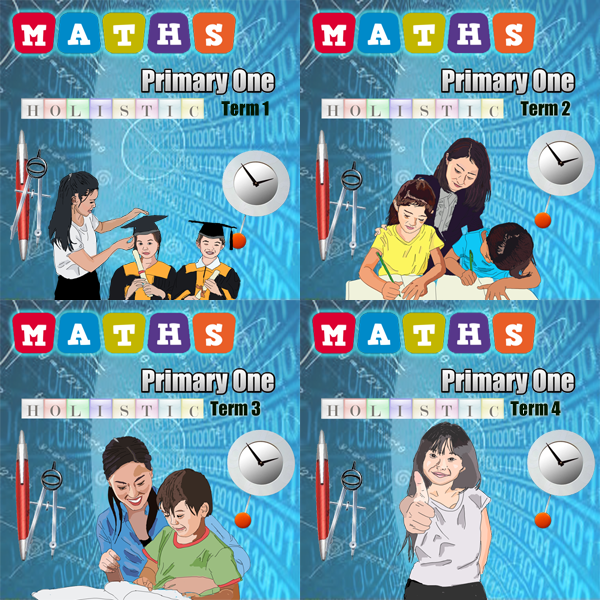 Maths Primary One Holistic is composed in according with the Singapore educational standard adopted by the Ministry of Education, Singapore. The objective is to aid students in building their foundation, realizing their strength and creating interest for learning Math that will endure through their lives. Instead of focusing on year-end examinations, a range of assessment modes and bited-sized forms of assessment are used for richer feedback on learning. Review Objective: Elicit students’ understanding of the concepts. Concept Test Objective: Elicit student’s ability to use the skills. Journal Writing Objective: Allow students to express their thinking process solving problem and their feeling towards their learning of Maths. This will motivate self-exploration and creativity. Mini-Test Objective: Ensure students have achieved progressive learning and benchmarking their level of competencies.